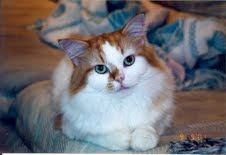 Kimberley Koz, Writer Inpurr-rupted: The Best Day Of Fishing Ever! Four were pulled from the icy waters of Stephens Passage, Alaska , by a group of locals on Tom Satre's 62-foot charter vessel. Four juvenile Sitka black-tailed deer swam directly toward the boat. 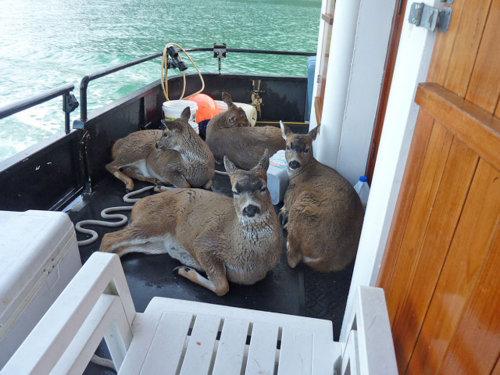 Here the rescued bucks rest on the back of Tom Satre's boat, the Alaska Quest. All four deer were transported to Taku Harbour . 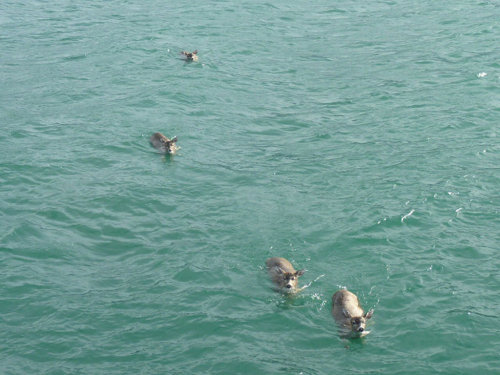 Once the group reached the dock, the first buck that had been pulled from the water hopped onto the dock, looked back, then leapt into the harbour, swam to shore, and disappeared into the forest. After a bit of prodding and assistance from the humans, two others followed suit, but one deer needed more help. 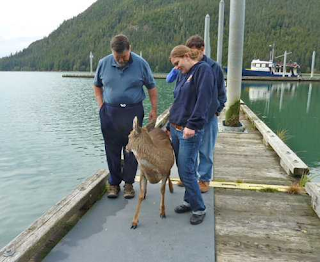 Tom, Anna and Tim Satre help the last of the "button" bucks to its feet. 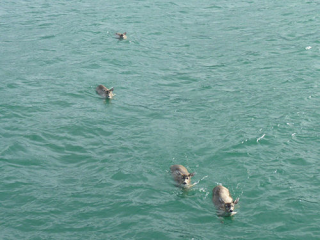 They did not know how long the deer had been in the icy waters or if there had been others who did not survive. 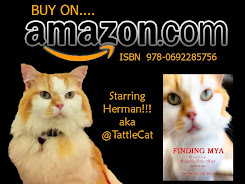 The good Samaritans (humans) describe their experience as "one of those defining moments in life." 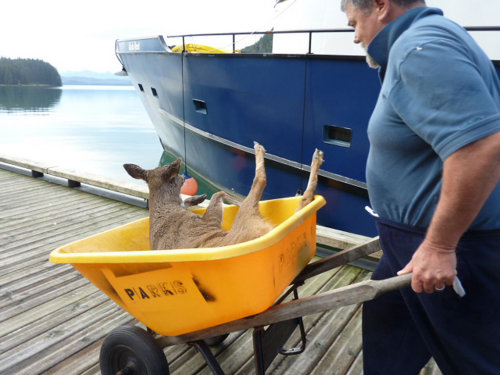 I'm sure it was for the deer, as well.